Here I will continue to display some of my images of Marstal photographed in April 2006. But back to the real maritime side, - featuring the very impressive and interesting Marstal Maritime Museum. 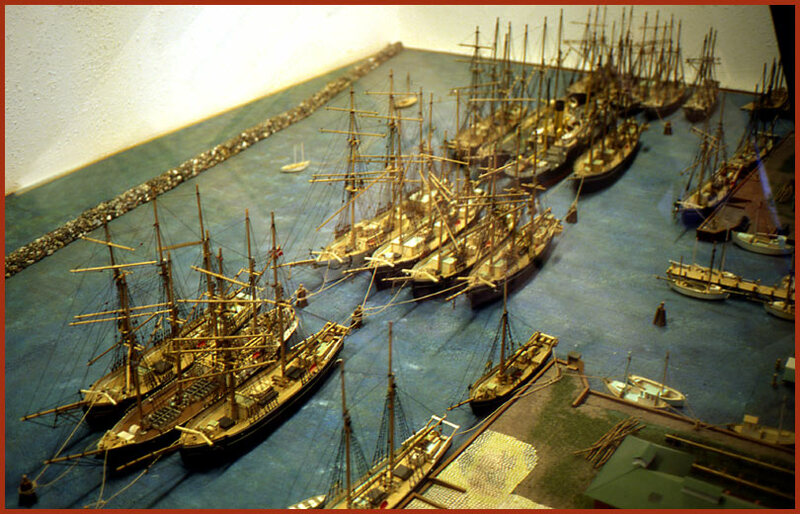 Here a model of what the port in Marstal looked like during its heyday as the home for a major sailing ship community. 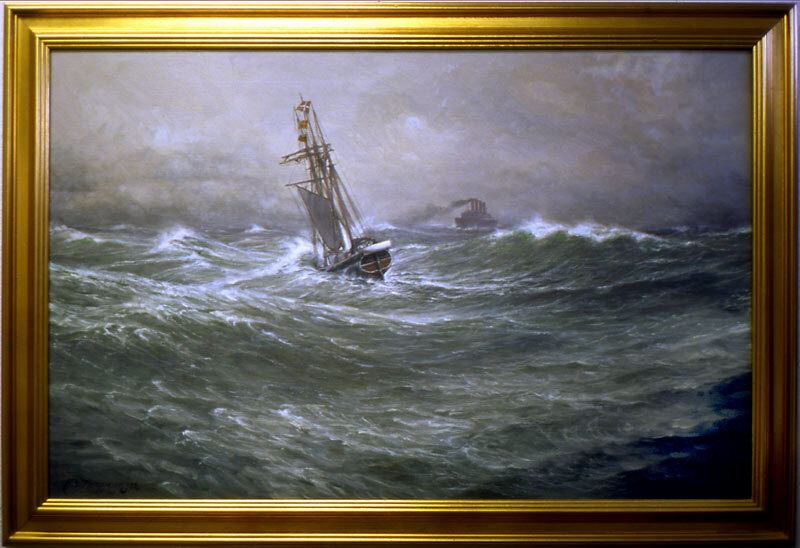 Marstal Maritime Museum also have a great collection of marine paintings. 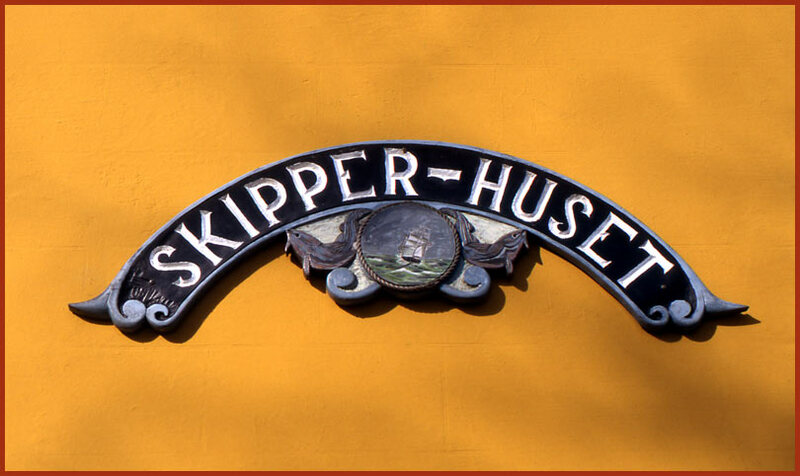 "Skipper Huset" - the "Skipper House" A little further down the road from the old iron ring in the road, you will find this well maintained house, which is decorated with a sign board indicating that this was once the house of a Sea Captain. 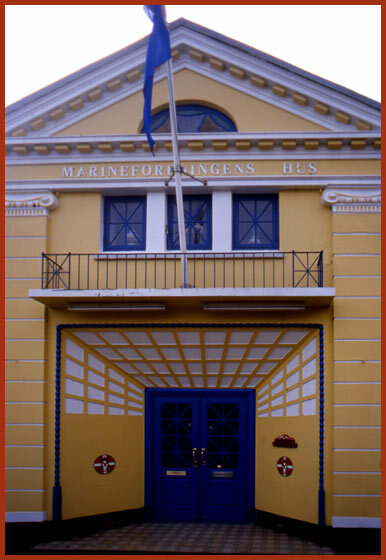 "Marineforeningen" , - The Navy Club -, in Marstal. 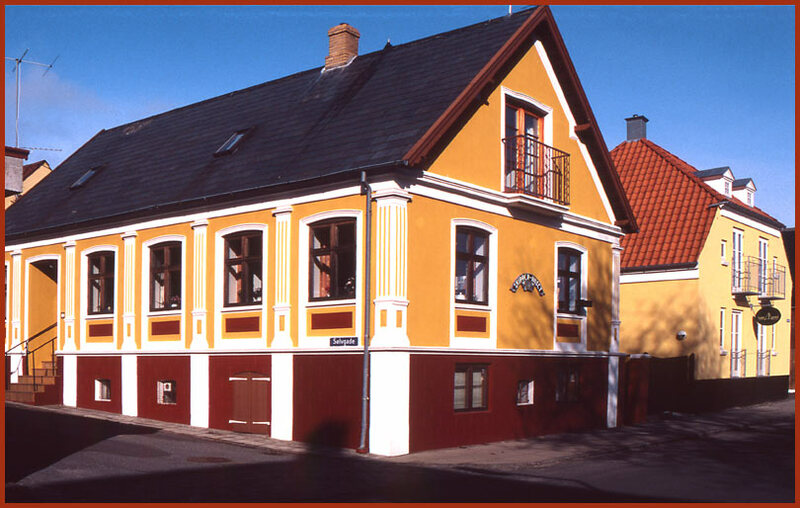 Being an old maritime nation, it is quite common, that even small cities in Denmark have their own branches of the Navy Club. Of course Marstal also has its Navy Club, - and what a club! This building really sends out signals that indicate that the Navy Club in Marstal is something special, - far more impressive than what you will normally expect to see in such a small city. At this point I have decided to make a link to another unique city on the island of Ærø - (Aeroe) - , Ærøskøbing - (Aeroeskoebing). 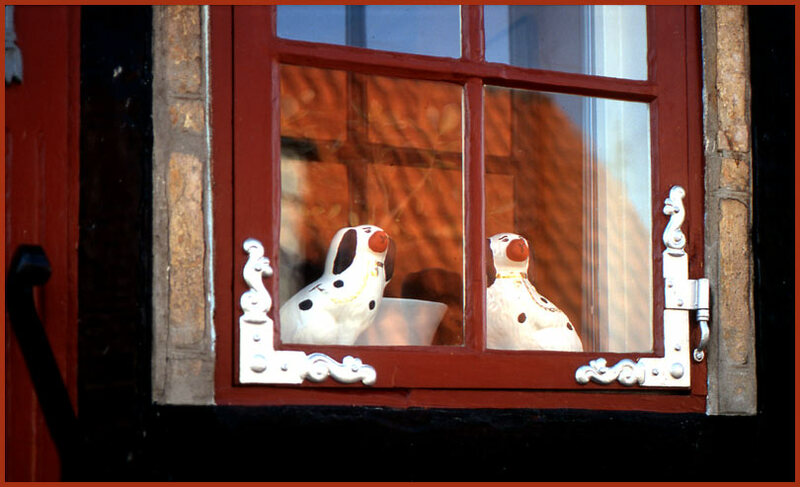 Also you might be interested in more about "Staffordshire Dogs" and other maritime symbols?? ?